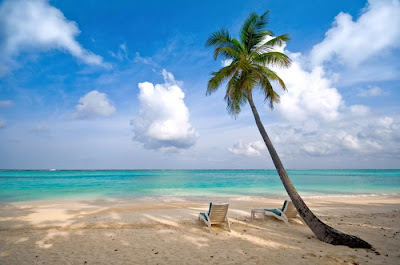 With winter descending upon us in full force, some people dream of keeping warm with hot cocoa by the fire place, while I dream of sandy beaches and palm trees. Sometimes, you just have to get away. Traveling is one of the most popular endeavors that people like to spend their time and their money on. Whether you are jet setting across oceans, on that once in the lifetime trip or travelling slightly closer to home, it is a great opportunity to leave your troubles behind and just relax. However, there are a few things that can make any traveler nervous. What if I get sick while abroad? What if the airline loses my luggage and all I have on my honeymoon are the clothes on my back and not even a toothbrush? Speaking from personal experience, if your luggage is lost the airline might provide you with a toothbrush (but no toothpaste) and a change of clothing-which in my case was only a huge over sized white see-through t-shirt. So you can hope that nothing bad will ever happen to you or travelling companions or you can get proactive and obtain travel insurance before your trip. Remember, an ounce of prevention is worth a pound of cure. Many think that travel insurance is only needed if you have a pre-existing condition and might get sick in the foreign country and get stuck with a huge hospital bill. You have to remember that accidents do happen and watching the traffic rules (or lack of them thereof) in some countries might be enough to persuade you. Whether you get the flu, or break a bone having medical coverage is extremely important. Medical transport from one country to your home country can literally cost hundreds of thousands of dollars. That’s more than most houses! But travel insurance can cover much more than just medical expenses, it can take the worry out of traveling. Most travelers know that by taking multiple connections to your final destination you can save quite a bit on your travel. However, flights do not always arrive on time and you can land at the airport just to see the plane you were supposed to be on takeoff. Travel insurance can cover incidences such as missed flights, flight cancellations, or flight delays which occur due to weather- and with snow storm season approaching this could be an issue. Finally, coverage can also help replace, lost, stolen or damaged baggage, as well as documents and if your luggage is delayed there are options for emergency replacement of essential items…toothpaste, perhaps? There are many things to worry about when you travel, such as; who will water my plants? Did I pack enough pairs of shoes? Will my hairdryer work overseas? How will I charge my phone at the airport? Save your vacation time to worry about your tan, and not if you whether you will have the money in case of a travel emergency. For a literally a few dollars a day, you can get a peace of mind.